Moments of wonder and real intimacy, but I couldn't help feel this was still a oerson overly worried about not saying the wrong thing, trying hard to say the right thing, and while I will always love and admire Mrs. Obama for the sacrifice she and her daughters made for our country, the book was just OK. Most interesting to me were the times her husband's West Wing worried about the "optics" of things like... wait for it -- growing a veggie garden! UGH! pre-ordered this the second I realized I could, then waited - like a very immature puppy. I adore Michelle Obama. I have always felt like the role of first family (save for the president) is a pretty raw deal, so I felt for her and couldn't wait to hear all the juicy details. I wanted some real talk about this country and the way the Obama family -- especially the women, especially Michelle -- were treated. Moments of wonder and real intimacy, but I couldn't help feel this was still a person overly worried about not saying the wrong thing, trying hard to say the right thing, and while I will always love and admire Mrs. Obama for the sacrifice she and her daughters made for our country, the book was...( it hurts to say this)... just OK. Most interesting to me were the times her husband's West Wing worried about the "optics" of things like -- wait for it -- growing a veggie garden! UGH! I wanted to hunt down David Axelrod at times during this book. I think Mrs. Obama has another book in her, or her friends are getting the details I wanted. I'm not one of her friends - she owes me nothing. 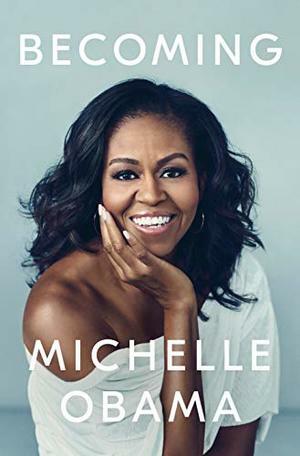 I owe her much, so I'm just fine with her keeping her secrets and real feelings, and honestly -- the country taught us all that Michelle is not allowed feelings or nuanced thoughts, so what else should I have expected. I'm honored she shared what she did. I just wish I would've waited for the library copy. Took me a month to finish. Kinda boring for my taste.